How To Find & Fix A Backdoor 🔴 In Hacked WordPress Site? 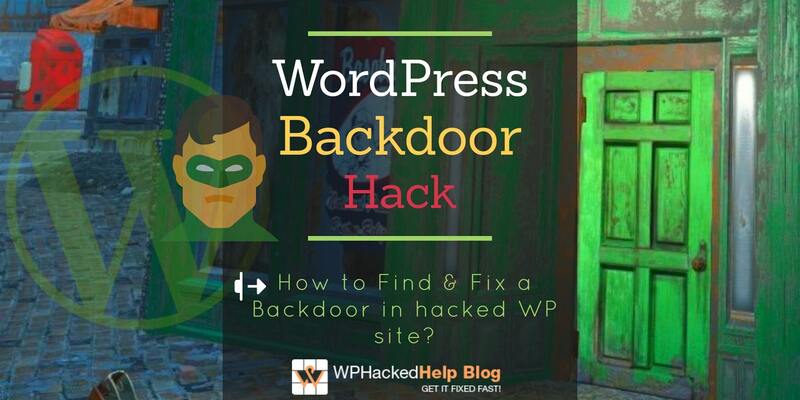 Home Wordpress Cleanup How To Find & Fix A 🚪 Backdoor In Hacked WordPress Site? Is your website constantly getting hacked🔴, no matter how often you clean your site? Did you encounter a backdoor that let the hacker enter your WordPress site again and made it vulnerable to malicious web attacks? 👉 Let’s discuss how to identify a backdoor in a hacked WordPress site, fix it & prevent it from reoccurring. In today’s world, hackers try to compromise your websites to disrupt your services, to break trust among the customers and harm your reputation, to steal money or there could be many other reasons. Thus the website’s security is of paramount importance. Although many security backdoors are discovered from time to time and WordPress also provide solutions to fix those backdoors. But If you do not keep an eye on the security of your site, it will become vulnerable to these security backdoors again and again. Most importantly, you need to stay up-to-date with the latest versions of WordPress and related installations so that your site don’t leave any backdoor for the hackers. What are Backdoors In WordPress? Firstly let us explain basically what is a Backdoor Exploit..
A backdoor is a way to access the control of the WordPress website by bypassing normal authentication and without being detected by the website owner. Most of the hackers often leave a backdoor in order to regain an access to the website even if removed by the owner. This is how even after the site clean up, the system is still vulnerable to hacking. A hacker can use a backdoor to perform the following things once they have successfully breached into your website. WordPress plugins have been found to be the source of many backdoors which are used to hack a website. There have been many instances where a malicious code is hidden in the plugin code, which acts as a backdoor using which a hacker can easily sneak in to your website any time. A WordPress plugin named Display Widgets has been used to install a backdoor on WordPress sites across the Internet. The backdoor code was found between Display Widgets version 2.6.1 (released June 30) and version 2.6.3 (released September 2). 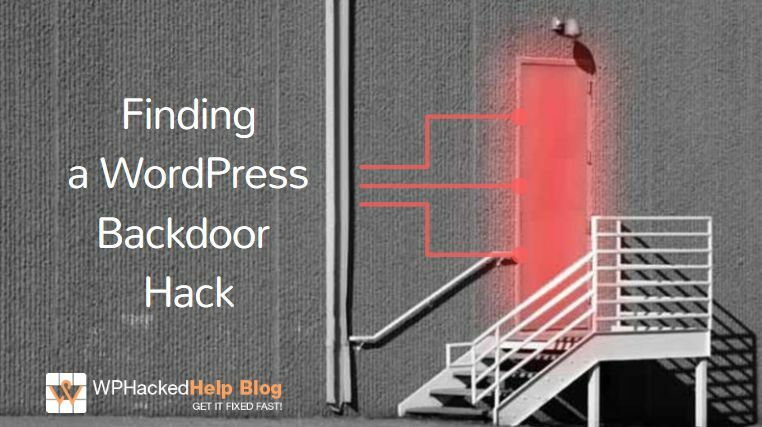 🚪Where To Find A WordPress Backdoor Hack? A backdoor helps the hacker to create hidden path to re-enter the website and exploit again. So where are the backdoor generally found. A smart hacker would not utilize your current theme for the reason it can be detected very easily. But he or she will find the inactive themes or the old version themes. Such themes are not safe, providing a path to enter the website and inject the code. Reason is that these themes are not used so the code injected will not be detected by you. Secondly, if not required, people don’t prefer to update their plugins to the latest versions. Thirdly, when people install poorly coded plugins to their wordpress which are easier to be vulnerable. Most WordPress website owners upload a number of media files to their upload directory. If you are also a wordpress user, you might also have stored hundreds of media files but do you check these media files. Why would you do so? Now this is a backdoor. What if a hacker uploads a vulnerable image in your directory that allows him to break into the website very easily? Moreover, this directory is writable so uploading a media file is very easy and it will hide among hundreds of other files so will not be detectable as well. Thirdly, what we observed is that most users do not install security plugins that can monitor the every single activity on their wordpress installations. 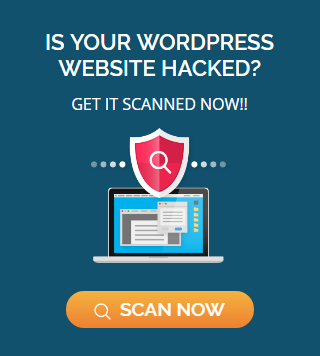 One of the highly targeted WordPress file where if a hacker gets entered can gain access over the entire website and can do whatever he wants to. The file generally contains username, passwords, host name, server info and all the sensitive information. When a hacker exploits vulnerability to the website, he creates a backdoor to regain access to the admin in future even if the hack is being fixed by the owner And if it is created in wp-config.php file, it is really hard to detect and is very harmful as through a backdoor in this file, anyone who entered can take complete control over your website. The wp-includes directory is a core WordPress installation directory. Hackers may use it to upload their backdoor. Like other uploads directory, this folder mainly contains .php files. So it’s unable to differentiate the original files from the unusual files unless and until you know the files by name. There may be a few cases in which hackers may name their malicious file like a core file or some even affect these core files where you should check the security of these files. 🚪How To Detect and Remove Backdoor in Hacked WordPress Site? A WordPress backdoor hack is an illegal way to get an unauthorized access to the website without being detected. Its reason can a vulnerable plugin, an outdated theme or an old version WordPress installation but if a hacker has created a backdoor then even after you have cleaned up your website and updated everything again, a hacker can still use backdoor to breach the website. Therefore, until and unless you will not remove backdoors, your website will stay vulnerable to future hacks. In Order to get rid of backdoors, first you must know how to detect them. From the above observation, the conclusion is that in most cases, the backdoors are disguised to resemble as a WordPress file. For example – if a file belongs to WordPress, it doesn’t mean it needs to start from wp-user.php and if it is having wp-user then it is not a compromised content injected to your database. Similarly for php files. So, it seems to be a hard task to finding out the blackdoors in your hacked wordpress version. Also, you may see a rogue file in the uploads folder. There is no good reason for a .php file to be present in your uploads folder. The uploads folder for media files so it should have images, videos or such other media files. So if you find a .php file there, then surely it needs to be removed from there. But now that we know the locations where it could probably be find, we can start detecting the backdoor as quickly as we can. So, if you want to know the best way to detect a backdoors in a hacked website, read on. Whitelisting – We know what the good files look like. We have a large checksum set of all the core files used in WordPress, Joomla, osCommerce, Wiki, etc, etc s. We also have checksums for the most popular plugins, modules, extensions and themes. Do you know what that gives us? It gives us a verification method of the core files. It gives us a way to determine if they were modified, new files added, and we can safely validate the good ones. Blacklisting – You can have a look at this list of PHP backdoors and their variations that have been collected over the last few years. This can serve as a blacklist. Anomaly Checks. When a file is not in a whitelist (core files), and not in the blacklist, do an anomaly check. These checks are where all the functions/variables in a file are analyzed and manually inspected to see if they are a backdoor. Use a malware scanner to scour your database for any backdoor files. 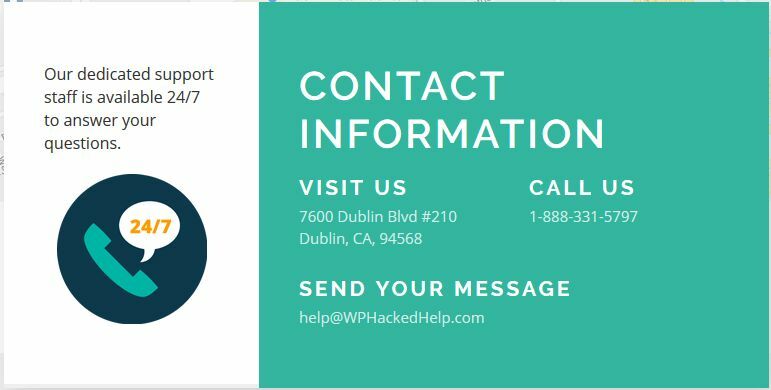 You can use wphackedhelp to quickly detect any malware or other exploits on your website. It also provides expert WordPress Malware cleanup services. Another tool is Redleg’s file viewer which can help you to spot any malicious iframes injected. Moreover, you can also track Referrer and USer Account as these are also used by some smart hackers. This is a useful to fetch headers of a website, or fetch both header and content and scans for the malware detection. Another service used for scanning URLs and detecting web-based malware. A free scanning tool that analyzes suspicious URLs and files to detect web malwares like viruses, trojans, malicious scripts or urls in your application. NBS System’s PHP Malware Finder does its very best to detect obfuscated/dodgy code as well as malicious files using PHP functions often used in malwares/webshells. As we already described that the inactive plugins are the major reasons for website hacking. Backdoors are not the first step of the hack. Often hackers find exploitation in the old and inactive plugins installed in your WordPress which are easily vulnerable, thus, provide an easy access to upload the backdoor .The best thing is to delete the inactive plugins. If there are some plugins which you use when needed, update them to the latest versions. This will close all the loopholes for hackers to re-enter the website. Generally, the inactive themes are targeted easily to inject malicious links so remove such themes. This will remove the backdoors if present here. You can also use Theme Authenticity Checker (TAC) which scans all of your WordPress themes for potential malware and update you with the affected ones. Mow that the chances of backdoors are negligible in themes so we advise you to keep updating the already existing themes time to time. The good news is the current version of WordPress releases has no known vulnerabilities. Therefore another way of defeat back doors is to upgrade WordPress to this latest version at hand. But before you start downloading the latest version, do not forget to take a backup of wordpress site database. Now, before starting with the attack-recovery process you need to have list of WordPress files available online. Now that you have upgraded the WordPress file, upload the files which you earlier backed up. Compare all the files with the default wp-config.php file, and if you see any extra file which needs not to be there, remove it simply. A smart hacker creates hidden usernames to gain the admin access and enter the website. Now it is very easy for him to add bad PHP functions, new administrative accounts, SPAM links, etc in the database. You can use any of these Best Free WordPress Security plugins as it will check and manage user login security as well as database management for secure login attempts. Also, lets you add an extra security to your site via .htaccess file. 🚪How to Prevent Future WordPress Backdoor Hacks? Always keep your wordpress database backup uptodate. Make sure you use monitoring plugins as you can not monitor each and every activity yourself so it would be better to install plugins that can add on to your site’s security. Try to use strong passwords. Another thing you can do is to use two-factor authentication. In case, your passwords get compromised, a hacker still needs to have another verification factor to enter the website. Limit the login attempts to your website. So that, if a user crosses the limited attempts, they need to have verification via another method. Keep the WordPress themes and plugins up-to-date. Always run the latest version of WordPress. We perform regular scans to make sure that your site is malware free. We provide solutions to important WordPress hacks which include eliminating backdoors, vulnerabilities, google blacklisting, Malicious redirects etc. We assure you to resolve big web attacks to a great extent.